With around $65 billion (Dh239 billion) invested in 2018 in ports across the country, the future of the UAE as a maritime hub both regionally and globally is looking immensely promising, a top official said yesterday (Sunday). Dr. Abdullah Bin Mohammad Balheif Al Nuaimi, Minister of Infrastructure Development, said the outlook for the UAE’s maritime sector remains upbeat, with the solid fundamentals further being reinforced by continuous initiatives of the government and unwavering support of the visionary leaders. Al Nuaimi, also Chairman of the Federal Authority for Land and Maritime Transport, told a news conference held in Abu Dhabi, the UAE, which has a rich maritime history and considered as a strategic trade corridor serving as a link between the East and West, is now one of the most influential global maritime economies. “With 20 international ports, many of which are among the top 10 ports in terms of advanced infrastructure in maritime transport and shipping, the UAE was ranked 14th globally in the first global survey of leading maritime nations and the country was placed fourth overall in terms of ports and logistics,” the minister said. As the UAE is bidding for joining the 40-member executive body of the International Maritime Organisation for 2020-21, Al Nuaimi said the UAE pledges to fulfil its responsibilities to participate and add value to the IMO’s technical and legal discussions by contributing to proposals concerning the strengthening of safety and security regulations, while preventing marine pollution from ships and maintaining a clean and safe shipping world. The UAE is responsible for more than 15 million 20-foot equivalent units (TEUs) a year. These numbers are steady increasing as trade and maritime transport in the UAE seeks to meet the needs of about two billion people in China, India and the GCC as well as Russia and Eastern Europe. 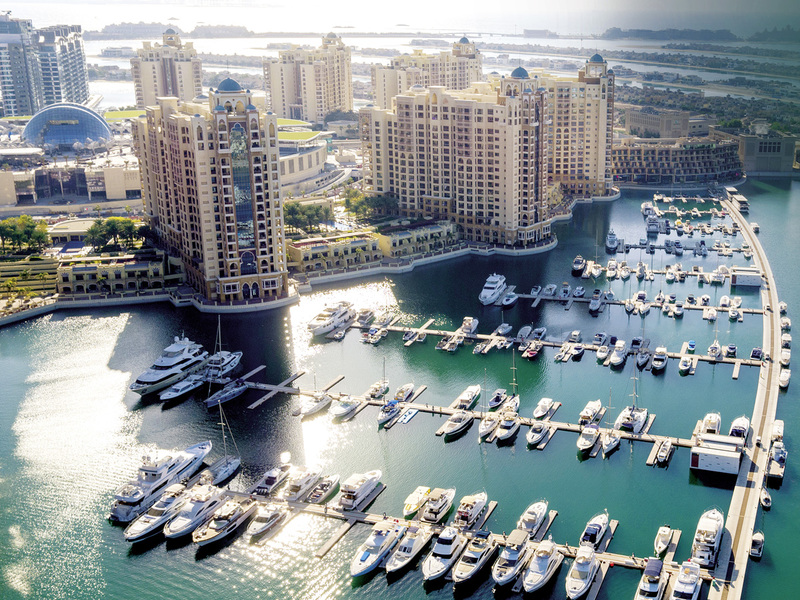 Several infrastructure developments are expected to boost the UAE’s maritime sector, which accounts for 30-35 per cent of the total regional maritime sector investment at $65 billion. Some of these include the $1.6-billion expansion of Jebel Ali Port’s Terminal 4, which will increase the port’s capacity by 3.1-million TEUs by 2019, the development of the Nasr oilfield in Abu Dhabi, Phase 3 of the Dubai Canal Extension Project, Meraas Holding’s 20-million-square-foot Dubai Harbour, which is set to become the nation’s new cruise terminal, and Dubai Creek Harbour. Al Nuaimi said the UAE’s new maritime law is expected to be ready soon. “The new law will address some of the critical problems faced by the industry and is meant to boost the country’s port infrastructure, allowing the country to surface as a preferred destination for shipping,” he said. Besides ships and utilities, the new law is expected to also focus on issues such as pollution and civil or criminal remedies for the negligence of maritime safety. Al Nuaimi said the UAE is focusing on increasing inflows of regional and global investments into the local market and making sure that we sustain a business-friendly environment equipped with the right infrastructure, logistical support, and technology. “We will continue to strengthen our capabilities in the areas of maritime services, trade, construction, maintenance, and berthing facilities, and explore how we can further thrive amid increased business connectivity worldwide,” Al Nuaimi said.